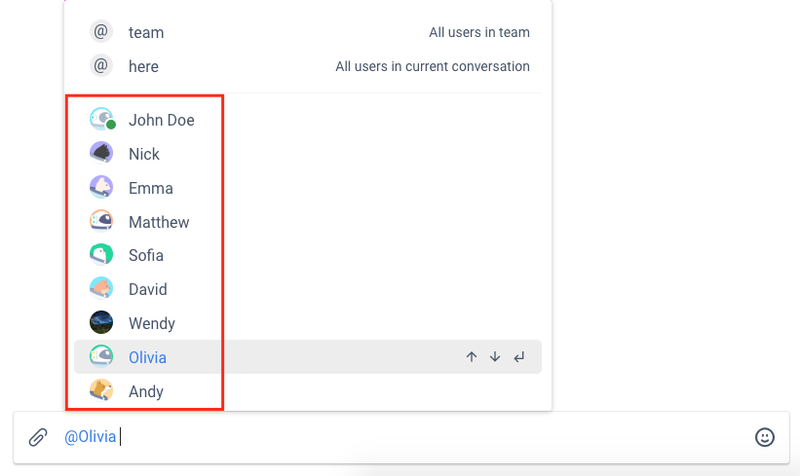 Ping a colleague, team members in a conversation or even the whole team to get the quick answer or deliver a solution that needs instant reaction. Once the mention is sent to Chanty, the mentioned member will get a notification. 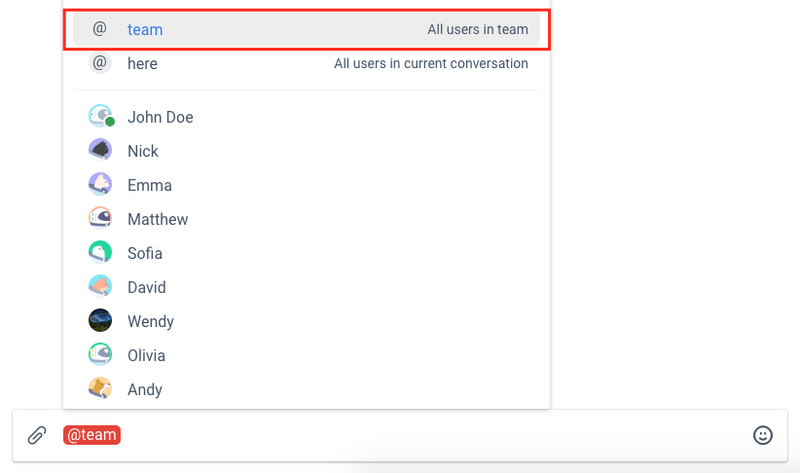 Note: Notification settings should be set to receive: All new messages or Direct messages, @mentions and task updates. Tip: Using mentions in Direct messages with any member will not trigger a notification. 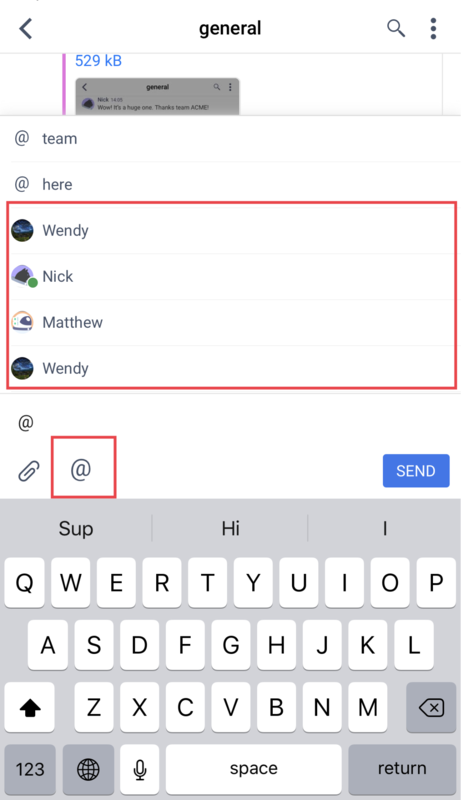 You can announce your message to multiple members with mentions on Chanty. 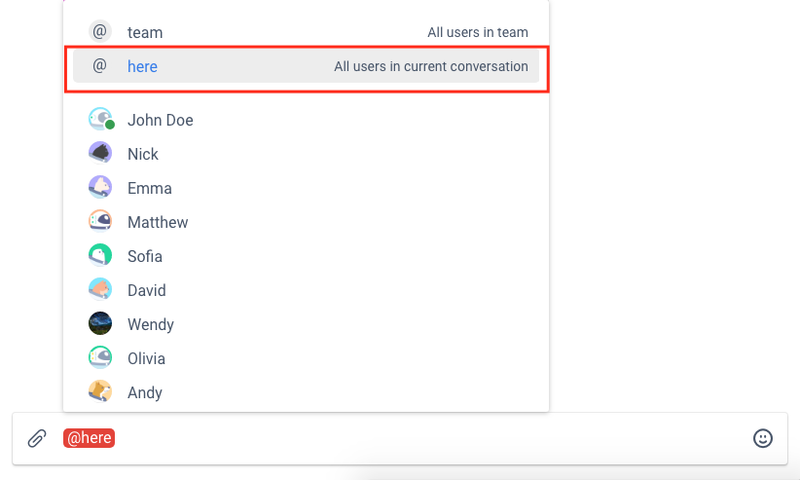 Once the mention is sent to Chanty, all team members members in a current conversation will get a notification.